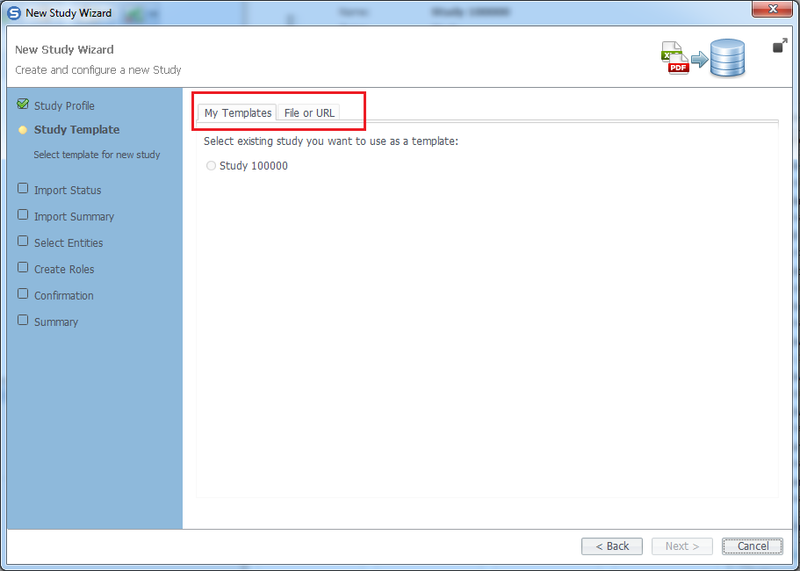 2 To create a new study, you can either use the template of an existing study (My Templates tab), select a local file from your machine (in OWL, XLS or SAVE formats) or download the Oasis eTMF standard content model (File or URL tab). The Oasis eTMF standard content model has two versions to support TMF RM V2 and V3. Select the required content model source and click Next. 3 This step shows the import status and whether any errors occurred during the import process (Validation Messages). Click Next to move to the next step of the wizard. 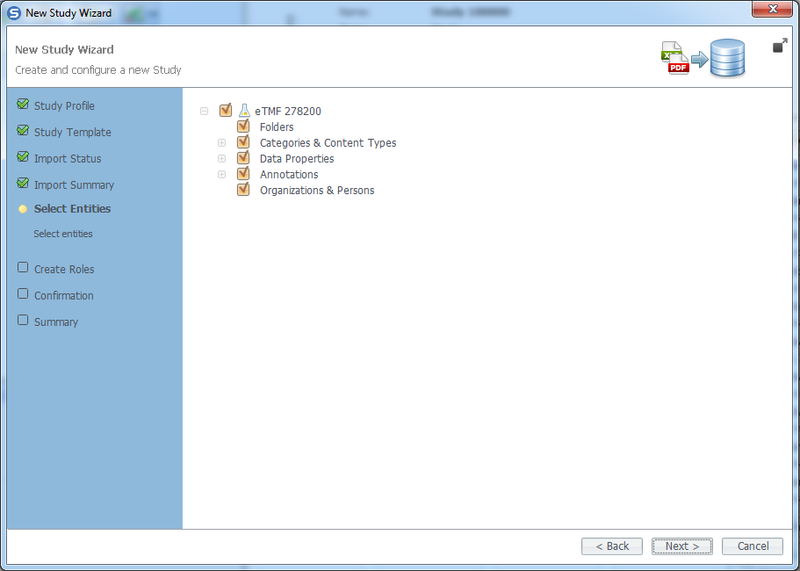 4 The Import Summary step shows the total number of Categories, Content Types, Documents, Data Properties, and Annotation Properties imported. Click Next to move to the next step of the wizard. 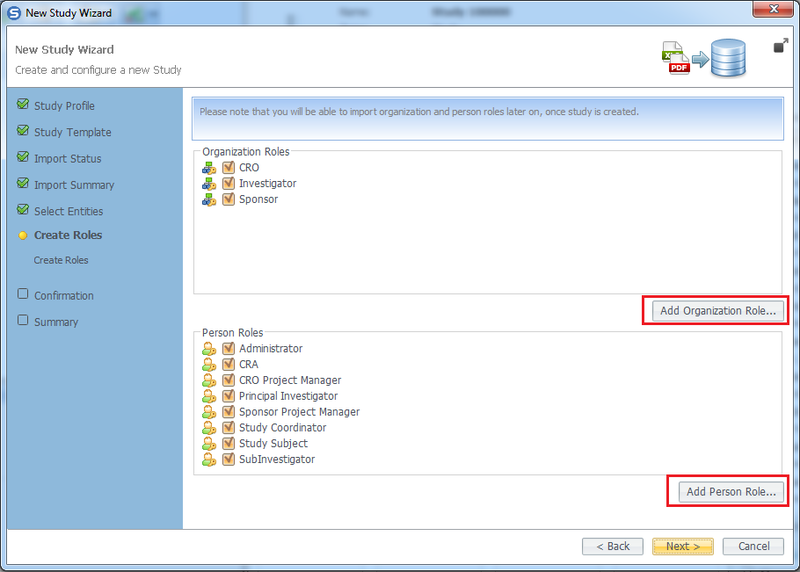 5 In this step, you can select which entities you wish to import while creating the new study. For example, you may un-check some categories you wish not to be included in the new study, data properties, or annotation properties. Click Next to move to the next step of the wizard. 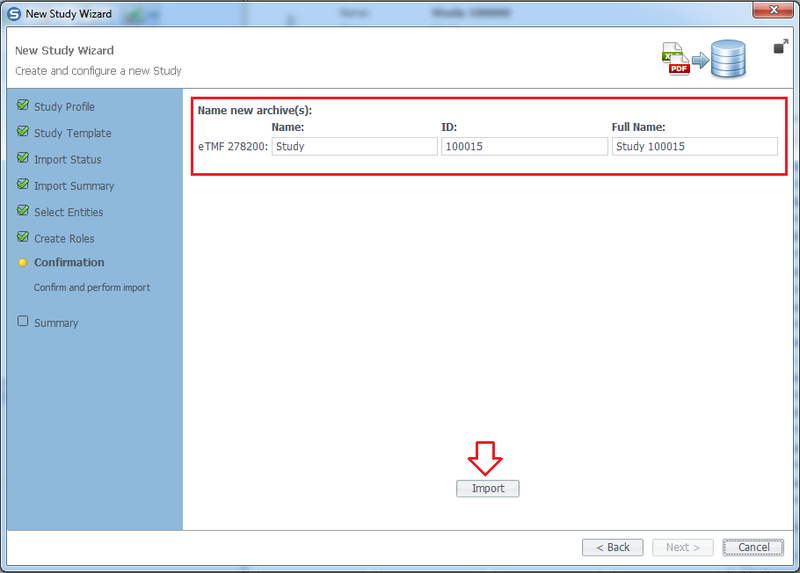 7 Review the study name and click Import to start the import process. After the import is finished you will be notified that the creation of a new study may result into charges to your account if not terminated within 30 days. If you wish to proceed click Ok. After the import operation is finished, you can proceed to the final step. 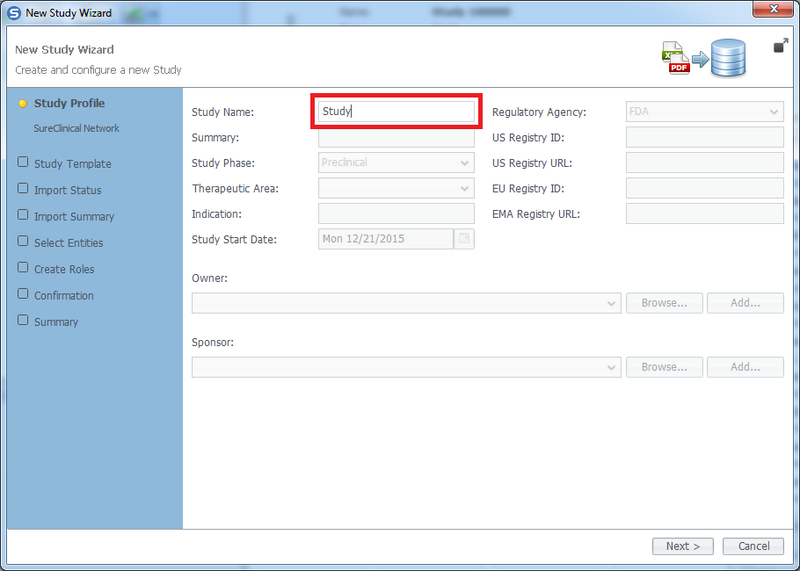 8 After you have created the new study, you may further select to import persons, import data from CTMS, import documents from an existing study or setup content visibility rules (which roles can access which content in the study). 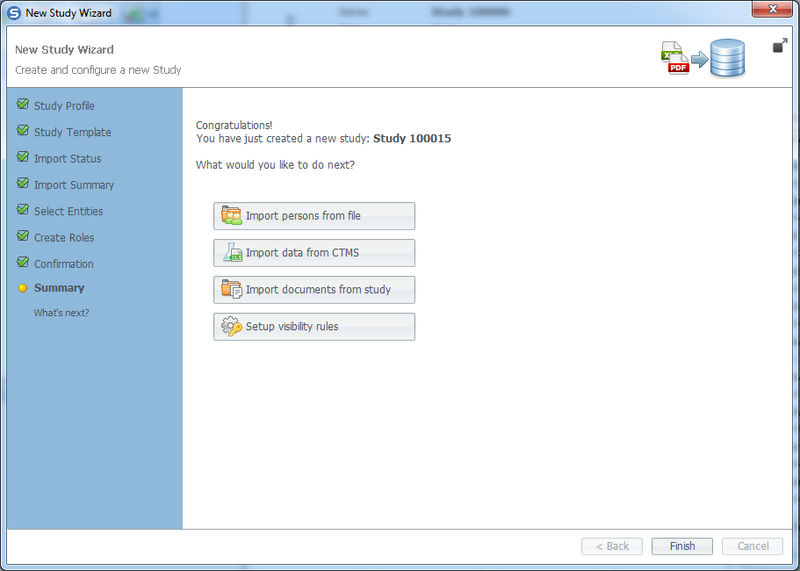 To conclude the New Study wizard click Finish.